27 July 2017. Start of Summer Holiday. It has been a long time since I was not obliged to set my alarm clock. Sans alarm, I woke up at 10am on the first day of my summer break! How refreshed I felt after a 9-hour sleep. How relaxing to start a day without any planned activities. That’s how my daily routine would be for the next five weeks. That’s not exactly true…about the planned activities. I still have to squeeze in five runs weekly, per the training program set out by my running coach. Another great thing about a vacation in Sebes, Romania is that my mother-in-law, Daniela, is a great cook. She always spoils Silviu and I with her sumptuous home-made meals. She prepares the meals with ingredients either from her garden or the local produce. Refer to my 2016 summer write-up for the manna found in the garden. That’s why I am able to catch up on my blog today: completed my write-up on the recent bike trip in La Loire, and dropped a quick Hello here. 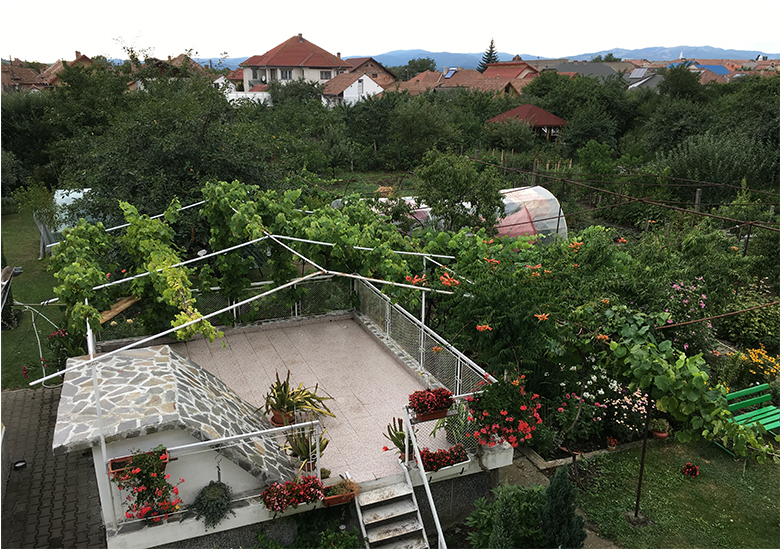 More photos and writings coming up in the next five weeks as I explore Romania, and most of them will be done from my working space overlooking the garden. View from the balcony for the next five weeks.